Miami Auto Shipping is South Florida’s local source for nationwide auto shipping. We can handle your auto, boat or trailer transport door to door with 100% insurance coverage. Honesty and customer satisfaction are most important to us. We will not do false advertising or make claims that are untrue to mislead any potential customer. 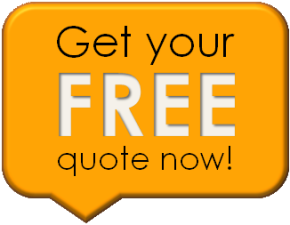 If you ask for a quote, it is handled by one of our trained transport specialists, not a computer. We compare rates to make sure that we quote a rate that will move your vehicle on time. Over the past few years we have built a strong bond with the best carriers to make sure you’re in good hands. At Miami Auto Shipping all transports are door to door and 100% insured. It’s the safest, fastest, and most convenient way to ship a vehicle. A door to door transport is when the transport truck will come to your designated pickup location to receive your vehicle. Repeat this process for delivery location. No terminals, no worries, and no waiting. With Miami Auto Shipping you have options to ship your vehicle any way you want. Open transports are the most affordable way to ship your vehicle and they will carry most vehicles. Open car carriers or open trailer transports can take more vehicles, they can transport larger vehicles, and they hold less insurance therefore open carriers can charge less per vehicle. Enclosed car carriers can’t carry as many vehicles but they offer more insurance, and they are less likely to have any damage caused by clearance issues for your exotic car. 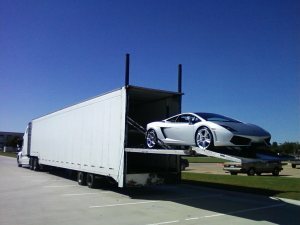 The enclosed transport usually costs about 50% more money when compared to an open auto transport. We have everything you need to get the job done right. Our staff will put you first and give you the right information to make you happy. We opened our doors in 2007 and since then we have been a 100% rated transport company. All the drivers we send will carry all the insurance requirements needed to transport your vehicle safely. We also have the best dealer exchange rates in the industry. If you’re a dealer you need to try Miami Auto Shipping. Dealers benefit the most from our programs because they ship the most vehicles. Yes our referral bonus applies to Dealer trades. Every referral you send you get paid like everyone else you can even use it as a credit on your transport needs. Call for more information and as always your satisfaction is guaranteed.